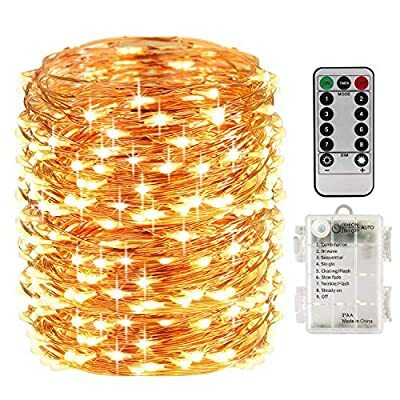 SAFE TO USE: Guaranteed with CE certification.These 3-strand led fairy lights are battery-operated with low heat emission as the insulated copper wire maintains the temperature at a low level. Thus, it's safe enough to touch the firefly string lights even after long time usage. 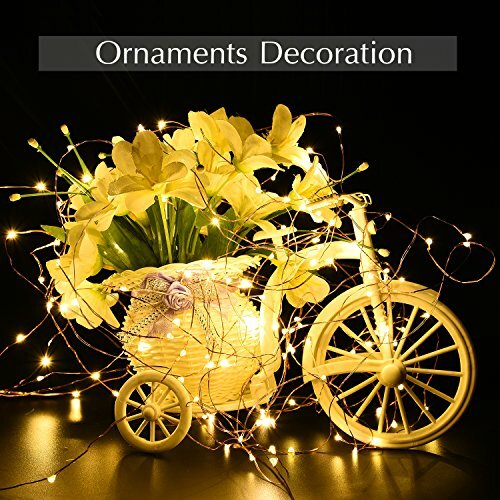 Besides, these flexible led string lights can be designed to any shape to cover in any area or structure for the best look for your decoration. EASY OPERATION: You can control these firefly lights with 13 key remote to turn them on/off, to change the modes, adjust the brightness and set the timer. 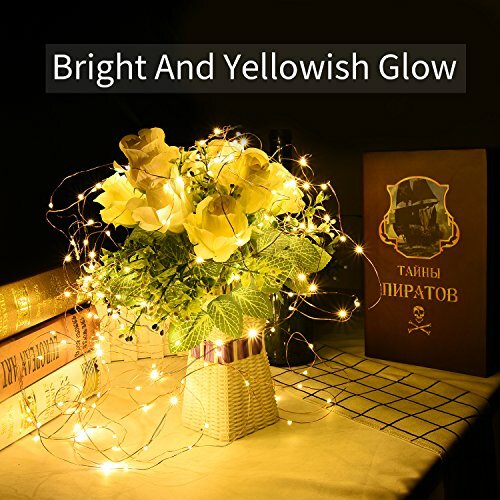 8 lighting modes and 10 brightness levels will achieve the perfect amount of light and bring a romantic and amazing decoration for Christmas, Halloween party, Thanks Giving Day, wedding ceremony, dinner party centerpiece etc. WATERPROOF: The copper wires and bulbs of these twinkle lights are fully sealed, making the submersible. The battery case is under IP44 waterproof Rating, meeting commonly usage needs but please do not put it under water directly. 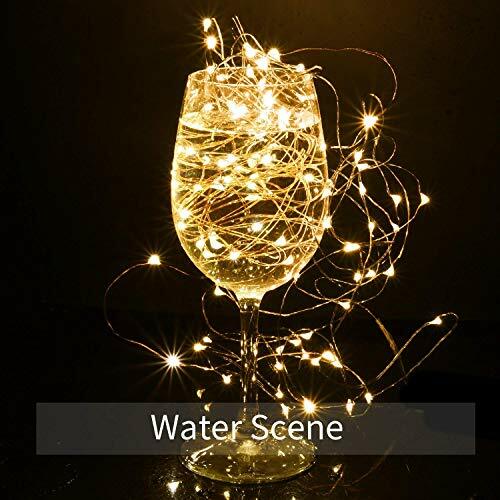 ENERGY SAVING AND EFFICIENT: Coming with waterproof battery case and Powered by 3 x AA batteries (Replaceable but Not included), these copper wire led string lights can work continuously for 60 hours. 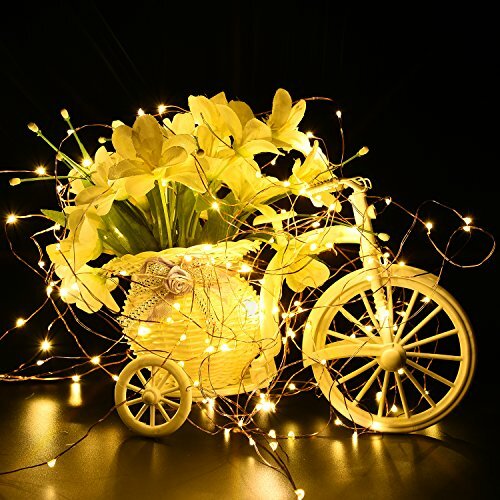 LONG TIME WARRANTY: The warranty of LightsEtc fairy copper string lights is one year. If you are not satisfied with the items, just feel free to contact us. Your satisfaction is our ultimate success.